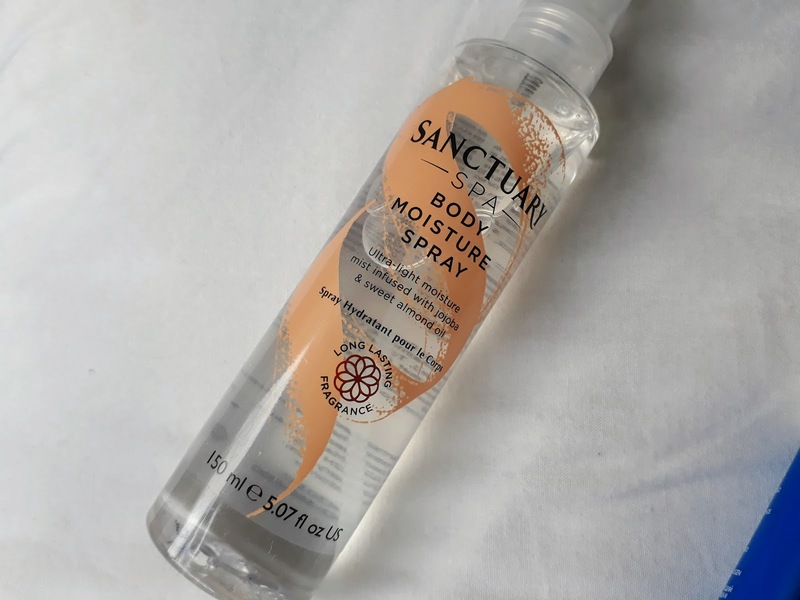 Sanctuary Body Moisture Spray: I'm the laziest person in the world when it comes to keeping my body moisturised, mainly because it is absolutely freezing so I want to get my clothes on as soon as possible after having a shower! 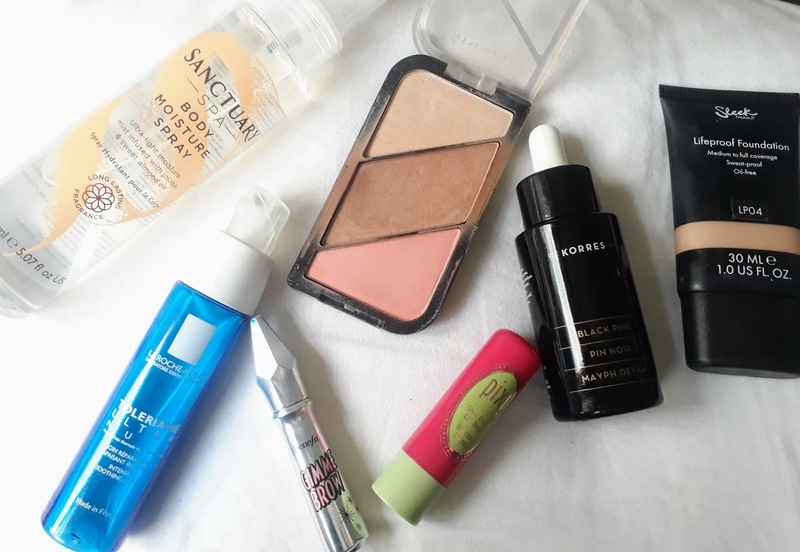 I'm often in a rush in the mornings and don't want to spend time rubbing in thick body lotions and waiting for them to absorb so I just spritz on a bit of this moisture spray and voila - done! 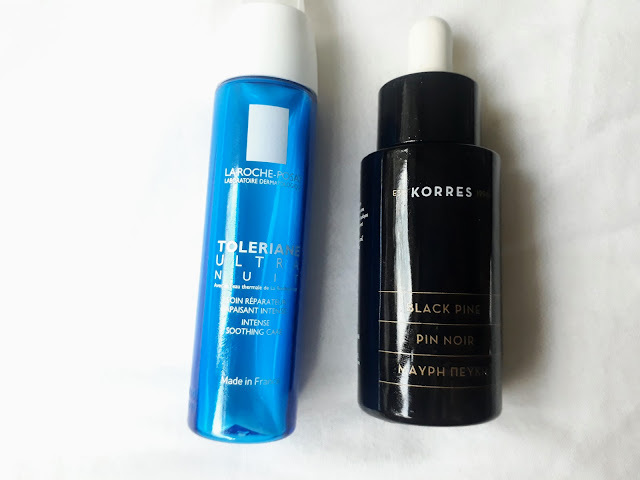 La Roche Posay Toleriane Ultra Overnight Care: I posted about La Roche Posay's winter skincare not too long ago and have been using this overnight moisturiser pretty much every evening. It helps to reduce sensitivity and dryness caused by the cold weather! I have noticed a considerable difference in my skin texture. Korres Black Pine Facial Oil: This is another great overnight treatment for skin in need of some TLC. It is pretty much a multi-use oil that sculpts and firms the skin while nourishing and hydrating. I've opted to use this instead of my regular Kiehl's Midnight Recovery Concentrate as it is much more hydrating. Rimmel Kate Sculpting Palette: This little gem is a bargain at just £6.99 but takes care of my makeup every day! It has the ideal shades for contouring, highlighting and blush. I will absolutely be repurchasing it as soon as I run out. 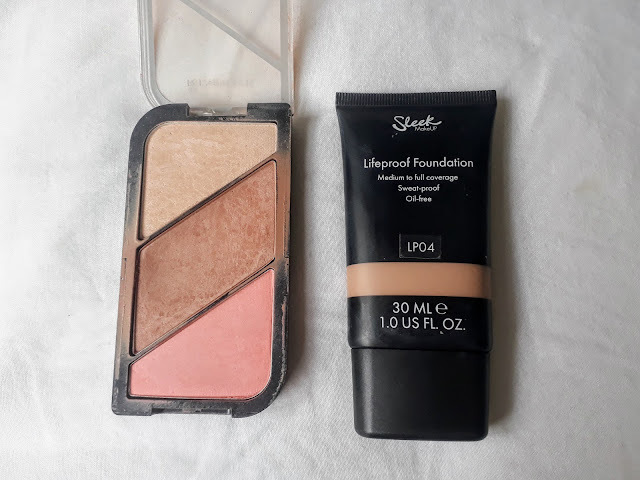 Sleek Lifeproof Foundation: I did a separate review of this latest launch back in September. Sleek's Lifeproof Foundation is the ultimate daily foundation with great coverage, feels light on the skin and doesn't budge at all during the day! Best of all it comes in more than 30 shades so suits absolutely everyone and is also another bargain at around £8. 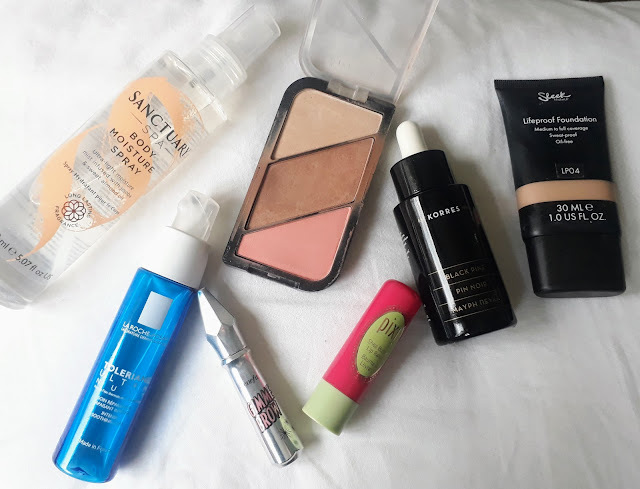 Benefit Gimme Brow: Although I'd heard great things about Benefit's brow collection I hadn't tried anything from the range up until recently. 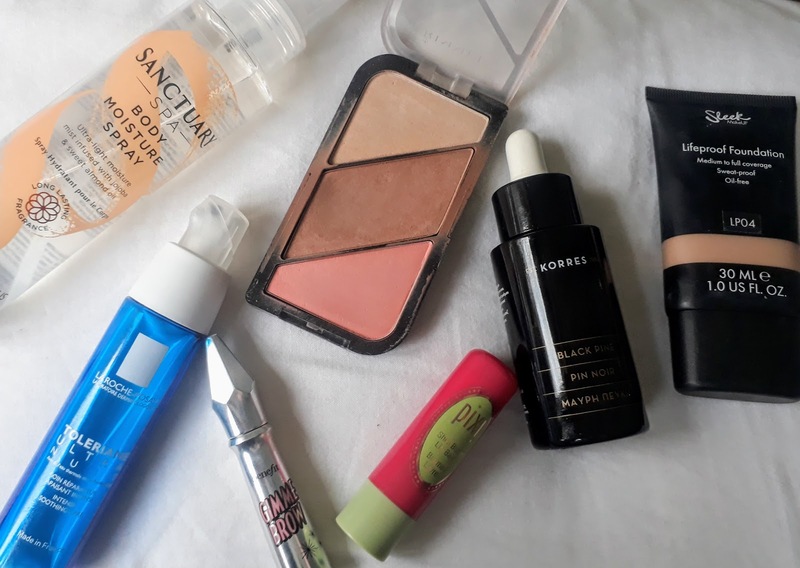 Admittedly I'm pretty lazy when it comes to doing my eyebrows so I love using this as it's so quick and easy - just one quick sweep across each brow and voila! It is essentially a teeny tiny mascara wand with a pop of colour to fill and define brows. 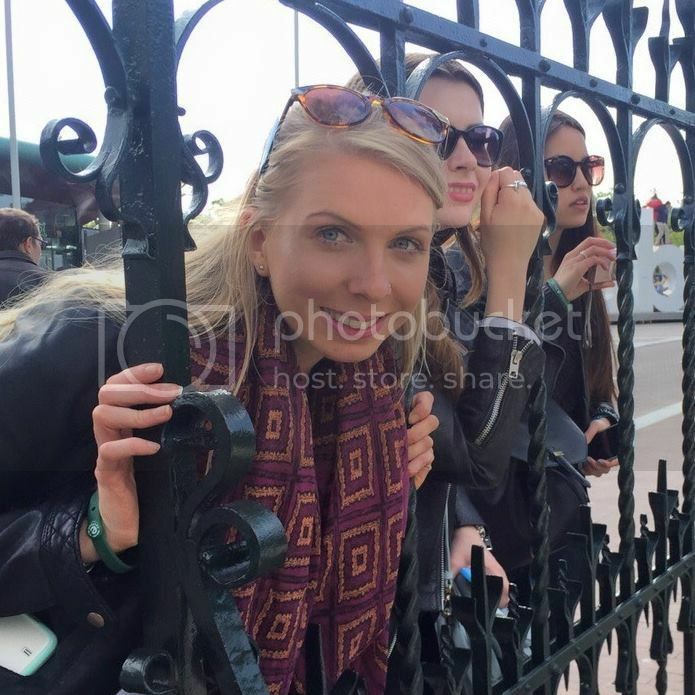 Best of all it comes in mid blonde/brown shade so it isn't too dark for us blondes with fair skin. 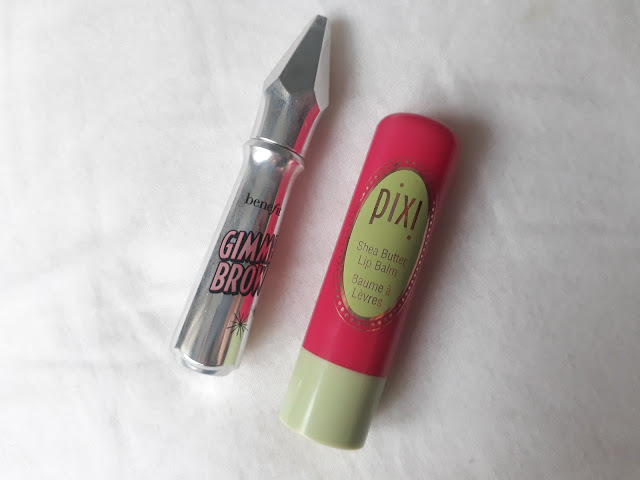 Pixi Shea Butter Lip Balm: Winter for me means dry, cracked and painful lips. I usually have to avoid wearing lipstick for as long as possible during the colder months as it just ends up flaking off and making my lips painful. I love this tinted lip balm as it is really comforting and soothing on my lips while still adding a nice flush of pink colour that is pigmented enough to wear as lipstick.